Do you need to do some heavy hauling soon? Still wondering how you are going to hitch that trailer onto that truck? Worry no more, a gooseneck hitch provides you with the much-needed solution for your haulage hurdles. It might not provide you with the smoother ride that you would otherwise get from a fifth wheel hitch, but a gooseneck hitch compensates for this by the immense weight it can haul. Their low cost and superior versatility make these hitches a favorite among those who haul heavy trailers through rough terrains. Differentiating the best gooseneck hitch from the wide range of available options is the only uphill task. You can rest easy as we have got your back. We have put together all the information that you need to know about gooseneck hitches. Simply stay put and have your work cut out for you. First, what is a Gooseneck Hitch? What is all this talk about? Some of you might ask. Not all of us are motoring enthusiasts. A gooseneck hitch is a connecting device used to join a trailer to a truck. It is attached to the truck’s bed as opposed to hanging a hook off the bed. This gives it an improved load bearing capacity and an easier ability to turn. It is a V class hitch that is cheaper and more robust which can substitute the fifth wheel hitch. It can withstand heavy trailers over long hauling distances. Due to the numerous options currently available on the market, it is prudent that you know what to look for exactly in a hitch. When you know the kind of terrain that you will be hauling over and the weight of the load that you have, then choosing a hitch becomes very easy. When set, check out these attributes of the best gooseneck hitch. As earlier stated, gooseneck hitches have very high load bearing capacities. However, these capacities vary from hitch to hitch. You will, therefore, need a strong towing capacity hitch if you intend on hauling a huge horsebox from place to place. For a lighter trailer, like that for track bikes, a relatively low strength hitch will be just okay. When buying a new hitch, it is much more convenient to buy one that you can set up by yourself. It should not have a lot of after works. You should not also have to consult an expert on the installation in the first place. All the cutting and sawing of parts should be kept to a minimum. If you can easily put it up all on your own and do not need lots of other tools for the same, then go for it. There should also be installation manuals that come together with the hitch for improved ease of installation. This is another critical feature of the gooseneck hitch that you should pay adequate attention to. You should consider whether you will be mounting it over or on the bed of your truck during towing. The guiding condition is the frequency of usage of the hitch. If you frequently haul heavy trailers, then an over the bed hitch might be a good option. On the contrary, less frequent haulers should buy the under the bed option. This allows you to do your other chores involving the bed of your truck. Want more efficiency in operating your truck? If yes, then you should consider parting with extra money to buy a gooseneck hitch that is controlled electrically. 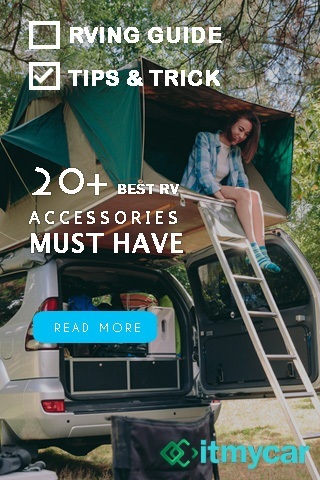 You can pop up or hide the hitch just by the flip of a switch. This is why it is referred to as “Hide a Gooseneck hitch system”. This feature may be a little costly, but it will be worth the while. This is particularly for those who frequently switch between hauling and other uses of their trucks. However much the gooseneck hitch may seem all fancy and hi-tech, it will not be of much use to you if it is made from structurally poor materials. You do not need a hitch that will crumble after the very first hauling expedition. You need a component that will stay sound for quite some time, if not a very long time. It may be expensive, but it will reduce the overall operating costs in the long run. High strength stainless steel and other alloys are good materials for the manufacture of gooseneck components. As was noted earlier, finding that one perfect gooseneck hitch can be very hard when you need to haul large loads conveniently and cheaply. The numerous choices available makes deciding and settling on a single one very hard. To get you started, here is a review of some of the three top products that are currently available in the market. You can decide on one of the three if you wish, or you can further explore for one that matches your needs. The CURT 16055 bent plate gives those with 5th wheel rails and wheel brackets already installed in their trucks the flexibility of having a number of towing options. The CURT has an adaptor for setting up the 5th wheel. The gooseneck plate mounts just like the 5th wheel trailer hitch does. You, therefore, do not have to use a different truck to haul a gooseneck trailer. Talk about killing one bird with a single stone. The CURT Gooseneck hitches feature four points of a pin and clip attachment. This provides for a very solid installation while still providing the convenience of a quick removal in case such a need arises. 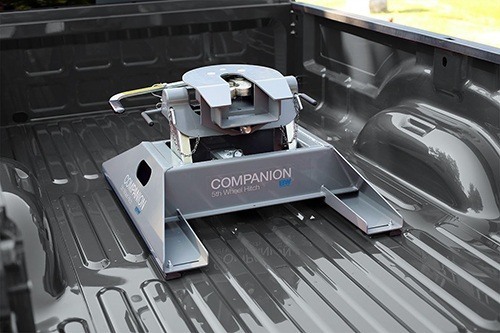 You can disconnect the hitch when you want to use the truck bed for other purposes a part from hauling. This gooseneck hitch boasts some pretty impressive weight limits. It can withstand a maximum gross load of 25,000 pounds. A vertical load max of 6,250 pounds is really impressive too. The trailer ball fits lots of gooseneck trailers. The CURT gooseneck hitch has adaptors for both 5th wheel and gooseneck trailers. This gives you unlimited versatility. Do you want to haul any trailer type? This type of hitch has got you covered. Corrosion can be a bit of a nuisance to any hitch type. To counter this problem, this product is coated with a powder of black carbide. It also protects it from rusting, ultra violet damage and potential scratching. It has built in safety chain loops. The Pro Series 49080 Hitch is a product engineered to combine excellence in performance and style. All these work in tandem to provide you with an excellent towing hitch. It is made to last for longer periods due to the coating of black powder on it. You do not have to worry about it wearing out anytime soon due to this coating. This gooseneck hitch has a ball and coupler which offers a smooth functionality. Installing this gooseneck hitch is as simple as apple pie. This will ensure that you don’t waste a lot of time during the installation process. The durability of this gooseneck hitch is also unquestionable; it will serve you for a very long time. What’s more, this gooseneck hitch is ideal to be used in various situations. 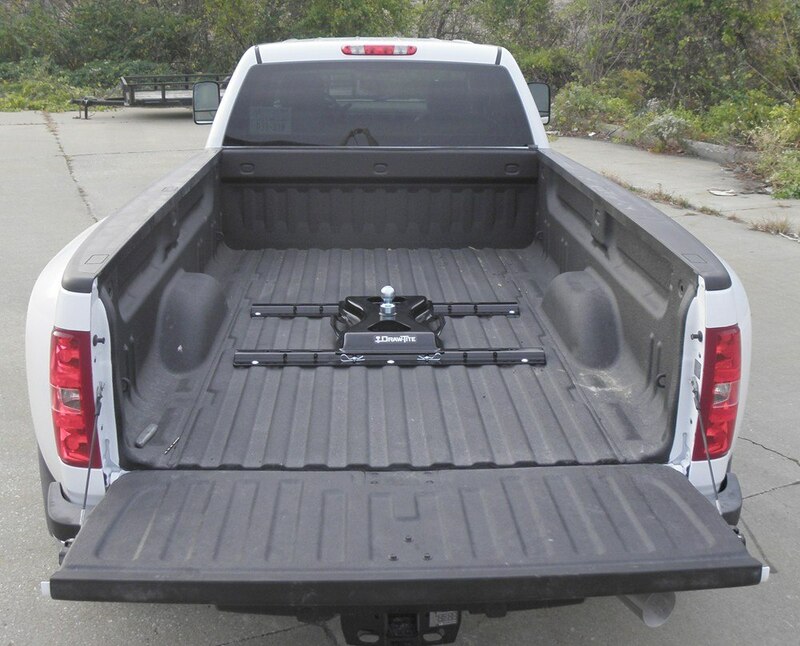 During the hauling process, this product provides for the full utilization of the pick-up truck bed space. This will make sure that you don’t waste any space so that you can be more efficient in your hauling process. While some people may not like this product’s tall structure, this product will surely give value for your money. It is engineered to exceed the V-5 standards set. This is for safety. Measures 13 x 7.4 x 25.1 inches. The CURT 16055 weighs about 8 ounces while the Pro Series 49080 is a little bit heavier and weighs around 32 pounds. Both the CURT 16055 and Pro Series 49080 have some safety locks included in their setup with the CURT 160455 having built in safety chain loops while the Pro Series 49080 has brackets for safety chains. Both of these products have impressive hauling capacities and can support weights of up to 25000 pounds. The installation process in both cases is very easy and does not require a lot of skills. They are both relatively durable and efficient. The CURT 16055 is somehow bigger; it measures 26 x 14 x 8 inches while the Pro Series 49080 measures 26 x 14 x 8 inches. 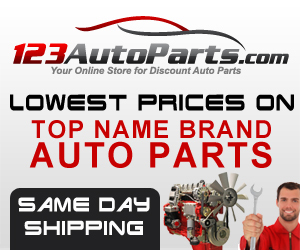 Both products come at relatively affordable prices. The Draw Tite is a Hide-A-Goose Gooseneck hitch that strives to meet all your hauling needs using a gooseneck hitch. Its most distinguishing feature is the rail kit. This makes it fit your truck without drilling numerous holes in the truck bed. This allows for a clean installation. In simple terms, the “hide a goose feature” means that you can hide the ball when the truck is not hauling any load. It comes with features that enable you to pull a handle until the wheel latches open. Flip the ball up to remove it. Ensure to engage the locking pins to secure the ball is in its right position. A single 3 ½ inch diameter hole is just sufficient. These rail kits are also tuned to conform to manufacturers’ weight ratings. Do you want to haul a 30,000-pound gross weight trailer with a vertical load of 7,500 pounds? No problem. This hitch can comfortably handle that kind of trailer. You do not have to make special modifications to your truck to accommodate this gooseneck hitch. It fits right in with the standard truck suspension system. The exhausts systems require no modifications as well to fit with the hitch. The high strength chrome plated ball has a magnetic cover that protects it from environmental factors when not in use. The Pro Series 49080 hitch weighs 32 pounds whereas the Draw Tite 9460-46 weighs around 110.8 pounds. The process of installing both gooseneck hitches is less complicated. While the Pro-Series 49080 has brackets for the safety chains, the Draw-Tite 9460-48 has spring loaded safety chain loops. Both of these products allow for the full utilization of the bed area of the pickup even when hauling a trailer. While the Pro Series 49080 hitch can support up to 25,000 pounds of weight, the Draw Tite 9460-46 can support up to 30,000 pounds. While the Pro Series 49080 has a reversible gooseneck plate, the Draw-Tite uses the Hide-A-Goose Gooseneck principle. Both of these products come are a relatively fair price. The Draw-Tite 9460-48 weighs 110.8 pounds while the CURT 16055 weighs 8 ounces. Both of these products have a considerable safety precaution when being used. The Draw-Tite 9460-48 uses the spring loaded safety chain loops while the CURT 16055 uses inbuilt safety chain loops. While the Draw- Tite 9460-48 can support a hauling weight of up to 30,000 pounds, the CURT 16055 can support only up to 25,000 pounds. For the Draw-Tite 9460-48, it has a has 2, 5/16 inch chrome plated ball while the CURT 16055 has a 2 5/16 inch trailer ball with a 3 inch offset at the rearward. Both products come at a reasonable price. When planning to do some heavy hauling, the best gooseneck hitch is a must have. This will make your entire operation as smooth and efficient as possible. But come to think of it, getting the best gooseneck hitch nowadays can be a headache. This is because the market is flooded with so many brands of such products. Having that in mind, this comprehensive review article aims at making sure that you don’t encounter any problems when buying the best product. All the relevant information that you would need to know when buying the best of gooseneck hitch has been well elaborated in this article. It is now upon you to use the guidelines given in this article to ensure that you buy the best product that will give you value for your money. While all the three products that have been reviewed above are great products worth buying, we would urge you to try all of them one by one to get the one that will best suit your needs. The CURT 16055 Bent Plate 5th Wheel Rail Gooseneck Hitch however is highly recommended because of its great features. This product, however, promises not to let you down. It is highly versatile, durable, made of a heavy material, easy to fit and disassemble among other great features. We hope that this comprehensive review article has been beneficial to you. If you would like to share this article with your friends so that they can also acquire this useful information, do not hesitate to do so. We also appreciate if we could get some feedback from you regarding this article. Post your comments in the comment section provided below. I like that you provided some tips on what to consider when buying a gooseneck hitch such as considering the capacity or weight of load it can withstand. It is important that you determine what type of trailer or vehicle you will be hauling for you to be able to determine which type of hitch to use. If you plan to haul heavy equipment, it is essential that you choose a hitch that has a strong towing capacity. This way, you wouldn’t have to worry about damaging the engine of your vehicle or putting too much effort to get it to move. 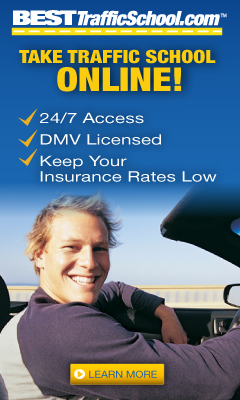 If I were to purchase a gooseneck hitch for my truck, I would make sure to keep this in mind. Thanks.